Paper mill labels or ream wrappers are ephemeral items with historical significance. The pictorial art on the labels has provided historians with views of both the interior and the exterior of extinct mills, including employees at work, equipment and the basic layout of the mill and its surrounding lands. Papermakers hoped that buyers would appreciate the sense of artistic quality of the pictorial label. Many of these illustrations were elaborate and realistic in content. 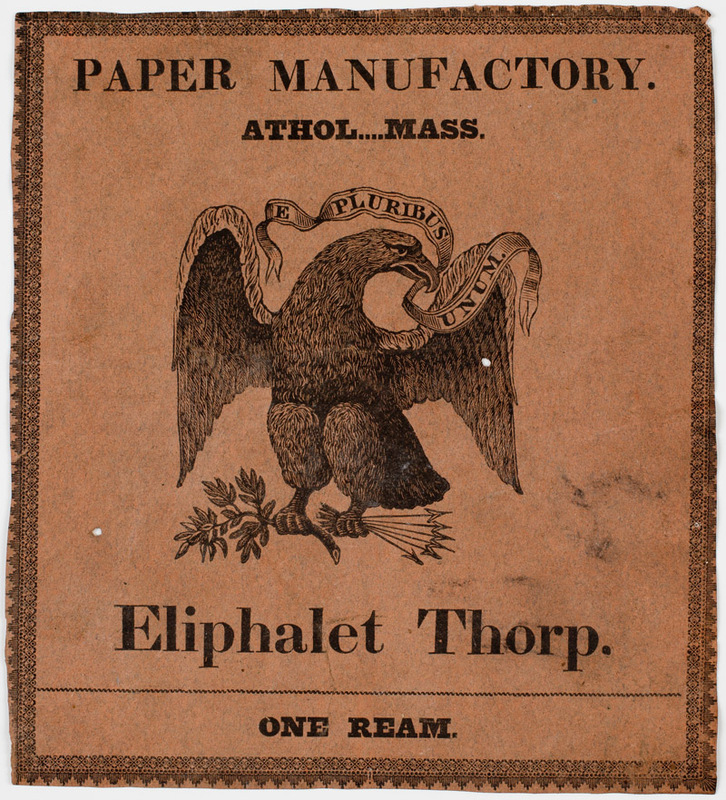 Symbols such as the phoenix and the eagle were common on ream wrappers. This collection ranges in date from 1820 to 1860 and includes over sixty items from mills in a variety of states, including Massachusetts, Vermont, New York, Pennsylvania, and Delaware. The collection has been fully digitized. Images are available through the Society's digital image archive.